DEROY ROGGE was born and raised in rural Nemaha County, near Auburn, Nebraska. He attended a one-room country school from the first through the eighth grade. At Auburn High School he participated in band, choir, small instrumental and vocal ensembles, as well as performing vocal and baritone horn solos. Ralph Chatelin was his high school band director. DeRoy graduated from Auburn High School in 1952. In 1952, DeRoy attended Midwestern Music & Art Camp at the University of Kansas (KU), playing first chair baritone horn in the concert band and singing tenor in the choir. 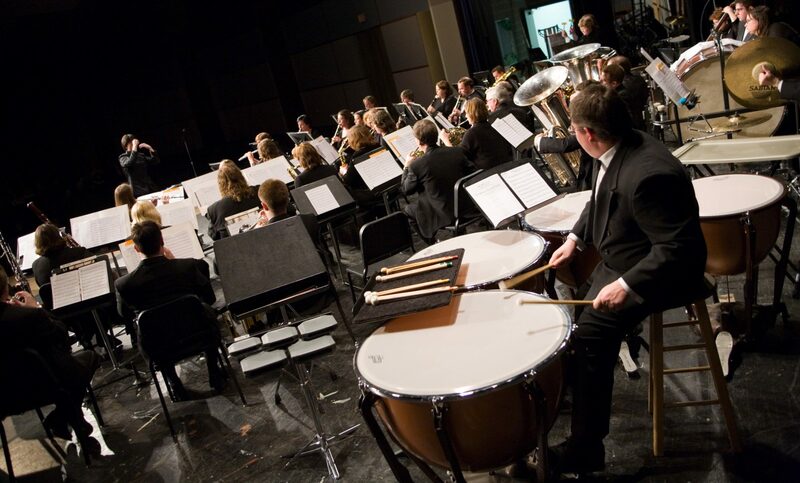 KU Director of Bands, Russell Wiley, persuaded DeRoy to enroll at KU, where he majored in Music Education and played first chair baritone horn in concert and marching bands for three years. DeRoy was a featured soloist with the band in concert and on tour in 1953 and 1955. Don Schaffer and Claude T. Smith, both former band directors at Center High School, were participants in the KU band at the same time. DeRoy graduated from KU with a Bachelor of Music Education (BME) in 1956 and married his college sweetheart, Sharon Stewart, in June of that same year. In 1965 he earned a Masters of Science in Music Education (MSME) from Emporia State University. Mr. Rogge taught for 32 years in Kansas and Missouri public schools. The Rogges currently reside in Raymore, Missouri. They have two children, Michele Janes and Craig Rogge, both of Raymore, and four grandchildren.